ust South of Sierre, the villages of Chandolin, St-Luc, Grimentz, Vercorin and Zinal comprise Val D'Anniviers, a partially connected ski area regarded by many as some of the most outstanding slopes in the entire Alps. 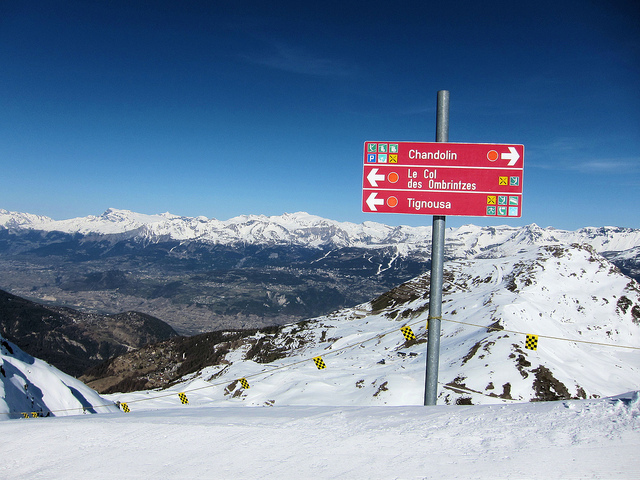 St Luc and Chandolin share a large connected range of pistes, with equipment that is slowly getting modernised to provide access to some wonderful on and off piste terrain suitable for all levels of skier and snowboarder. With a long, tortuous road journey to access the slopes and overshadowed by more famous resorts in Valais, this valley really is an almost undiscovered gem of wonderful, uncrowded slopes. 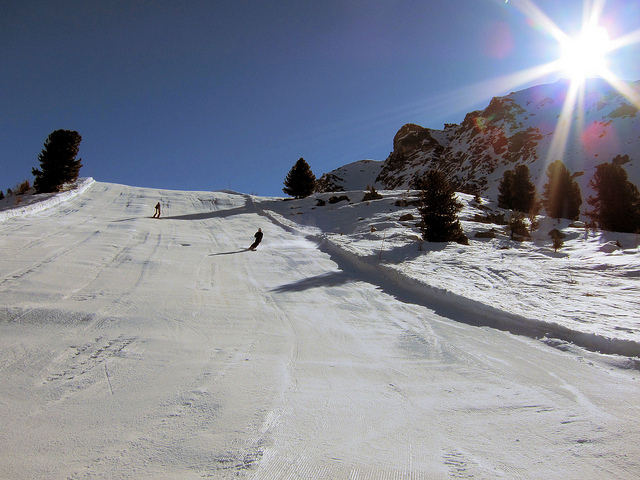 The best destination to access the downhill slopes by public transport in this ski area is Chandolin, Télésiège. Bus stop adjacent to lifts. 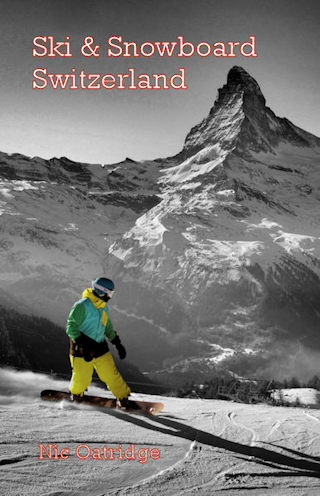 Buses from Vissoie also serve Zinal,Grimentz and St Luc, and from Sierre serve Vercorin. From Zurich the least travel time is 2 hrs 43 mins with as few as 3 changes going via Visp / Sierre / Vissoie. From Basel the least travel time is 2 hrs 43 mins with as few as 2 changes going via Visp / Sierre / Vissoie. The road distance from Zurich is around 316 km and the journey time is roughly 3 hrs 29 mins. The road distance from Basel is around 289 km and the journey time is roughly 3 hrs 11 mins. The road distance from Berne is around 195 km and the journey time is roughly 2 hrs 14 mins. The road distance from Geneva is around 200 km and the journey time is roughly 2 hrs 21 mins. The road distance from Lausanne is around 135 km and the journey time is roughly 1 hr 42 mins. The road distance from Fribourg is around 164 km and the journey time is roughly 1 hr 57 mins. 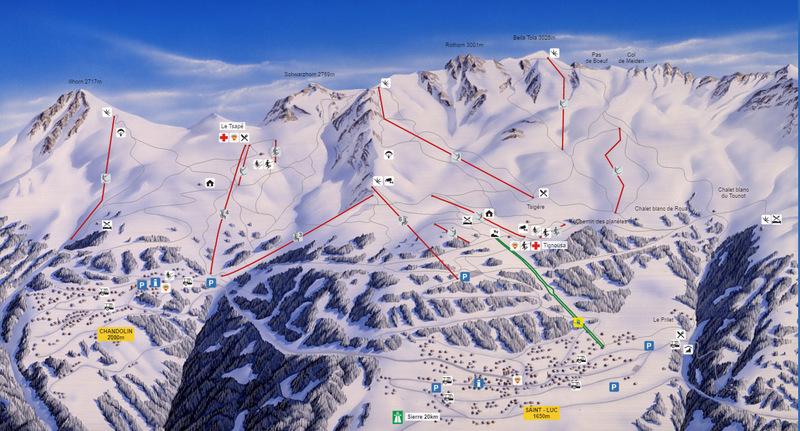 Other resorts in the ski area include Grimentz, St-Luc, Vercorin and Zinal. $$$ Hotel Cristal, Grimentz (3*) Family rooms available. $$$ Mountain Heaven Chalets, Grimentz (Chalet) Catered and self-catering available. $$$$ Grand Hôtel Bella Tola & St-Luc, St-Luc (4*) Rated a historic hotel by the Swiss Tourist Board and highly regarded. $$$ Hotel Weisshorn, St-Luc Ski-in, ski-out belle époque hotel with access to wonderful off-piste, snoeshoeing and winter walks - it is on the Chemin des Planètes (no road access or groomed pistes). $$$ Colline de Daval, Sierre Ranked #1 in Sierre by TripAdvisor. $$$ Hotel Terminus, Sierre (4*) Famous for the restaurant Didier de Courten with it's two Michelin stars, the hotel is conveniently situated next door to the station.